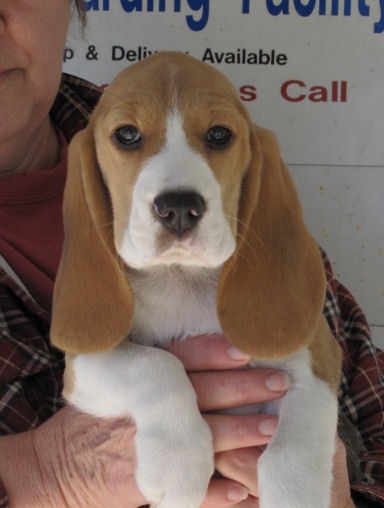 Co-bred with Alyce Gilmore (Bayou Oaks Beagles), “Bayeux” (pronounced “Bayou” and named for the famous Bayeux Tapestry in Normandy) is a delightful addition to my kennel. Her happy, easy-going temperament and lovely head never fail to bring a smile. Bayeux now lives with Carol McElroy in Florida. Thank you for your comment about Bayeux and about Tia….Too! Bayeux reminds me so much of her mother, particularly the beautiful head. I often told Tia that if she would just reproduce her head for me, I would be very happy! 🙂 She did!